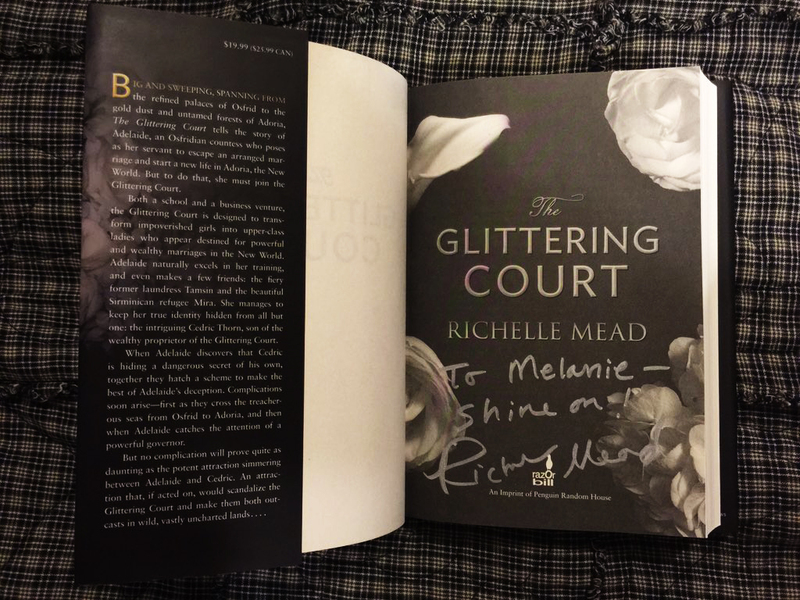 I’ve read almost everything Richelle Mead has ever written, but I think it’s time for me to stop. 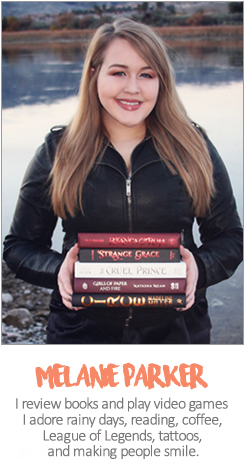 Do you ever feel like maybe you outgrew an author? I remember buying physical Vampire Academy books at midnight, because they were so magical I couldn’t wait! One time, during a move, my new house didn’t have internet yet, so I camped out in a McDonald’s parking lot at midnight so I could download The Indigo Spell. To this date, the Dark Swan series is one the best series I’ve ever read and is still the only book starring a shaman I’ve ever read. But then Bloodlines became horrible, Gameboard of the Gods was a joke, and I gave Soundless a two star rating when it deserved a one star rating, but I didn’t want to believe Richelle Mead, one of my favorite authors of all time, was writing nothing but one star books. I have outgrown Richelle Mead, and I don’t think I will be reading any more YA stories from her, because my heart can’t take giving her more chances and me having to write more negative reviews. First off, this book is not a fantasy and should not be marked as one. It’s historical fiction with made up names. This book is about a countess that has lost her parents. Her new guardian, her grandmother, wants her to marry a cousin so they can keep living their extravagant lifestyle while also keeping the blood pure. Well, this doesn’t sit well with our main protagonist, and when a man comes to take one of her servants away to the Glittering Court, she finds a way to take the servant’s place. Which sounds reasonable, right? 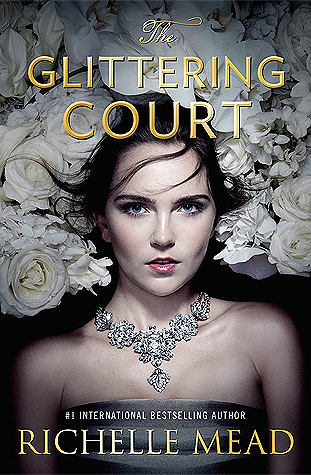 Until you realize the man stated what the Glittering Court is – a court that prepares beautiful young woman to become nobleman’s wives to the highest bidder. Yeah, bidder. She legitimately escapes her grandmother’s arranged marriage to be part of a stranger’s arranged marriage. You do find out later in the story that there is more choice and leeway involved, but our dear Adelaide, Osfridian Countess, does not know that upfront. This is the main plot of this book, and it doesn’t even make sense. Then, let’s queue the obvious love interest and add in some angst with it being an unobtainable love. That is, until it’s just obtainable and they could have saved everyone a lot of trouble and, more importantly, me a lot of time. I will give Richelle Mead a little credit, because she does try to tell a story that would start a discussion on religious freedom. I’ll give any author credit if they write something thought provoking that is somewhat taboo to talk about, and she did. That’s not saying she wrote about it amazingly, or that this book would change anyone’s life, but I still appreciate the sentiment and discussion, because this is a very important topic that our world needs to talk a hell of a lot more about! I also think it’s important to note, that as crazy as the hypocrisy in the first part of this book is, the first part of this book is way more enjoyable than the later parts. The ending of this book has probably the biggest use of deus ex machina I have read in a really long time. I hate “big shiny bow” syndrome in my stories, and this book is the queen of them. This story is one hopeless situation after hopeless situation that always ends up being fixed in a blink of an eye and with a snap of someone’s fingers. I believe this book is going to have two companion novels. I’m sure the two companion novels are going to be in the POV of the two girls Adelaide befriends in the Glittering Court. These girls have a lot of mystery going on behind the scenes, while Adelaide was off trying to get married, so the idea is kind of appealing to me. This book also ended with a clean ending, while still leaving a few mini cliffhanger mysteries to make the reader want to read whatever comes next. I never want to discourage anyone from reading something. This didn’t work for me, but hopefully it could still work for you. I have never read The Selection, but all my friends say that if you like that series, you will also like this one. I just can’t even at how excited I was for this book only to read it and go “That’s it?” I heard The Star Touched Queen is supposed to be good (I love Khanh’s reviews on GR since she tears books apart and saves her 5 stars for those she really thinks deserves them) so I hope I can love that book as much as she did. I’m not sure if I should read Mead’s vampire series since the movie was horrible, vampires are overdone, and I really didn’t like this book. Khanh is one of my favorite GR friends! I always end up agreeing with her reviews – good or bad. Yeah, I would totally recommend NOT reading her Vampire Academy series. I think I was just young, and was in the Twilight phase still. Looking back, I don’t even know how I enjoyed those books. I’ll blame it on age, haha.